I’ve avoided writing about this because it’s embarrassing. After all, I’m an educated person and “know” the good stuff I’m supposed to be doing for myself: drink water, eat my veggies, get rest, blah blah blah… This is NOT rocket science, for crying out loud. But knowing and doing are totally different things. Last year I started working out with my sis and a trainer (Sonjia). I was taking it very slowly and it felt good to get back to the gym a couple days per week. It was my “back door” way to trying to be a bit healthier. But I wasn’t eating any differently or, uh, drinking water outside of the gym. I figured that would come later…. During one particular workout in January, I didn’t feel well (dizzy & flushed). (I’m not an animal, so when I don’t feel well I rest. I am 43!) I was sitting down and even after about 10 minutes I did not feel any better, so I told Sonjia I wanted to go into the other room to lie down. As we were walking to the other room, it happened. Fainting, also called syncope (pronounced SIN-ko-pe), is a sudden, brief loss of consciousness and posture caused by decreased blood flow to the brain. Of course I told them that I was fine and just needed to sit down (code for GET ME OUT OF THE **expletive** FREE WEIGHT ROOM!). Apparently it didn’t matter what I said, 911 had been dialed. The cute EMT’s arrived (seriously, is being cute a job requirement?) and they hooked me up to different monitors. Naturally, they insisted that I go to the hospital (via the GURNEY through the MIDDLE OF THE GYM). My sis was taking pictures (cuz that’s what we do), and she was quickly scolded by the EMT’s because this was serious. After “passing” all the heart and blood tests in the hospital, the consensus was that I was chronically dehydrated. (This made sense to me because quite frankly, after a bag of fluids, I felt GREAT!) But my sis and boyfriend did not see the humor in this and were giving me scolding looks from the doorway. Whatever, I know you love me, but do you have to give me “that” look? But they were right. I was not taking care of myself – that was the simple truth. In fact, I was doing such a **expletive** job of taking care of myself, I ended up in the emergency room. This to me, was very sad. I’ve never been a water drinker. I used to drink sodas. And I still LOVE my coffee. But my little syncope incident inspired me to bust out the bottle. But the guidelines for water and fluids are DAUNTING (see WebMd). I started little by little drinking some at work. Some days I do better than others. But recently (in the last month or so), I’ve neglected this part of my “I’m trying to develop healthy habits” path. I’ve been eating vegetables, cooking, watching my carbs, and getting lots of minutes of exercise in, but I haven’t paid the same amount of attention to the water piece. Those sound like good odds to me. Today I drank 48 oz of water at work – a very good thing for me. I’ll drink another 24 before I go to bed. Sip by sip, I’m developing a new, healthy habit for the long haul…. 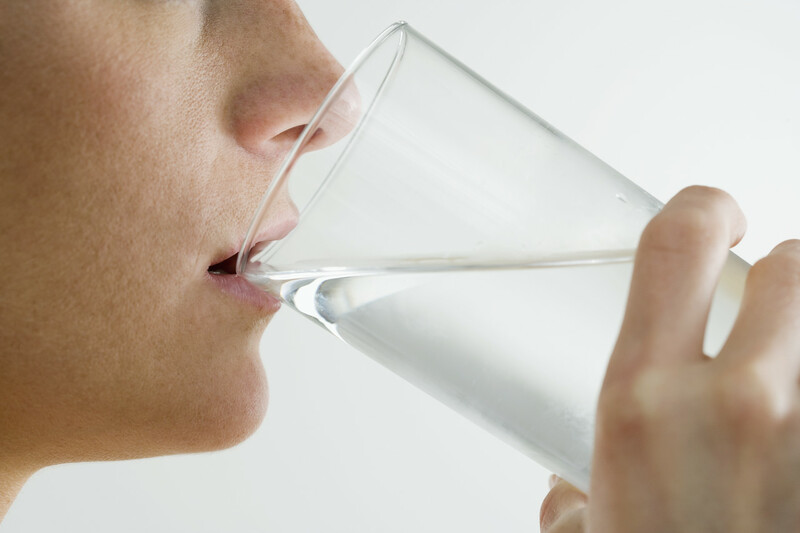 Any tips out there for drinking more water? ← 400 Minutes and I Only Went to Gym Once? First, you passed out in a gym. To keep their insurance, they MUST call 911 and have you checked out. It’s on the record if you later choose to sue them. (the trainer worked you out too hard, the room was too dry, etc.). NOT that you necessarily would. But any gym will do that. Now tips for drinking water. My simple one: set up some alarm that goes off every hour. When it goes off, fill a glass with 8 oz. of water. Take a sip or two – or a gulp or 5. Make sure the glass is emptied before the alarm goes off again. OOOOOH – an alarm! I can totally do that…. I bet after a couple of weeks it will be a habit. But for now, the alarm is a great reminder. I will give that a try today – thanks Deb! Wow…what a wake up call for you. I actually manage to drink a lot of water every day…drink 16 oz while I’m doing my morning workout, have a 24 oz bottle at work that I fill 2 or 3 times throughout the day. I also drink from the water machine every time I come out of the restroom…not really certain how much water that is, but it’s at least 10 swallows each time…lol!! And I drink another 8-16 oz in the evening. I wasn’t much of a water drinker before, but I think the more you drink, the more you feel like drinking. Good for you for joining the challenge and making the effort!! I also need to up my water intake, especially with hot weather beating down on us here now. I find that I enjoy drinking herbal teas a lot more than just plain old water, and a good way to make sure I’m drinking more of this is to keep a little thermos at my desk filled with hot water so I don’t have to keep going into the tea room at work (which half the time is closed because it’s also the main meeting room!). In hot weather when drinking hot tea isn’t much fun, I find that I drink a LOT more water when it’s in the form of soda water with fresh lime squeezed in. Hopefully perhaps these may come in useful for you too, if you’re not a big fan of plain boring water either 😉 Good luck with the challenge, I will be joining you! Umm… just be sure to wait a little while after getting back to your home/office with your bubbly water before you open the bottle. My entire desk and body got a bit of a bathe this afternoon. Do not feel like a loser! It’s so not fair to be mean to you like that! I was incredibly guilty of going the entire day without drinking a thing. I wouldn’t even drink with meals unless I was in a restaurant. It’s like you have to change your whole mindset and drink even when you aren’t thirsty. I down an entire bottle of water before I eat a meal not to feel full as some people do, but rather just to get in my water. Yay! Join the club 😉 Today, we shall drink water ~ Thanks for stopping by! I’m totally guilty of letting the hydration part of my health go too. I hate drinking water for the sake of drinking water. Seriously, it doesn’t taste like anything! I add a slice of fresh fruit to my water to help spice it up (lemons, limes, raspberries, strawberries, really any fruit is good). Also, try drinking a whole glass before each meal. This trick also helps you feel full faster and avoid over eating-a double bonus! I am sooooo into trickery – thanks so much for stopping by! We have to remember the water thing – I’m not sure why it’s so hard for me – but I gotta say – it’s great to know I’m not alone. Thanks so much for stopping by! Eek! A couple of weeks ago I made a similar mistake. I was two miles into a run and I completely overheated, feeling dizzy and on the verge of getting sick. Luckily I run with my phone and I frantically called my husband. He was in his truck and by my side faster than I could register and he brought me to bed with ice packs and ice water. It was hard for me to get rehydrated because I was having a hard time stomaching water. Lesson learned! Really? Oh my – I’m so glad your husband could come and help you – it is so scary! I’ve been thinking about wogging (walk + jog) with my phone… It would be a smart idea. How is it that smart girls like us can dehydrate so badly? Sigh…. For me, taking care of myself requires so much effort and purpose sometimes. Thanks so much for sharing! Wow what a crazy story! As someone who had never fainted before–and then did last month–it’s a very bizarre experience. I probably don’t drink enough water. I’m trying to do better! Oh no! This happened to you?!?!?! It is scary – aside from being mortifying. Of course, I’m pleased that all my tests came back good, but it was still a wake up call for me for sure. Yes – water – sigh…. My nemesis! But glass by glass, I’m doing a bit better than before. Hugs! I have a condition called neurocardiosyncope. I know, it’s a mouth full, Basically if I don’t keep hydrated, fed, well rested, I faint… A LOT. Used to happen to me about five times a year since I was three years old. But now, I am very careful to get my rest, and I drink TONS OF WATER, gatorade (anything with electrolytes), coconut water and most importantly, keep food in my stomach. Salt helps, not too much, but it helps keep that Blood Pressure up!